We are specialist installers of fireplaces, solid fuel, gas or decorative with over 20 years experiance in the industry. Based in Basingstoke we cover up to a 40 mile radius in Hampshire, Berkshire and Surrey. Our services are aimed at customers who wish to purchase their own fireplace, be it from a shop or online. We offer a free survey and technical advice leaving you safe in the knowledge that when you make your purchase it is suitable for your property and all correct standards / building regulations are accounted for. Gas Safe registered for gas, HETAS registered for solid fuel. We offer a professional and reliable service, Contact fitter direct 07771501906 for a free on site survey. 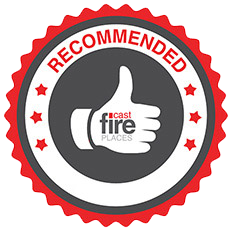 With over 20 years experience in the fireplace industry good advice is guaranteed so for a FREE survey and quotation visit our contacts page. A fireplace is an architectural structure to contain a fire for heating, and especially historically, for cooking. A fire is contained in a firebox or firepit; a chimney or other flue directs gas and particulate exhaust to escape. Fireplaces are a central household feature, as the flames and crackling sounds are comforting, even when not necessary for heat or cooking. Fireplace mantels are a focus for interior decoration.